I wore this outfit this past Monday, the hottest day of the week. I know everyone in LA feels my pain with the never ending heat wave. I have Fall clothes that I'm dying to wear! I guess I shouldn't be complaining because when it's cold, I'll want it to be hot. I'm just never satisfied. Now it's Friday and a tad bit cooler so luckily this outfit will transition easily when the cold weather decides to stay. I'll just throw on some tights and a large cardigan. I wanted to try the harness trend and shopped around for quite sometime. I liked this one best because of the stud detailing in the back and how easily it pairs with just about anything. I wore this outfit out shopping and to dinner and got lots of compliments on it. Score! I'm now looking to try a harness belt that is a bit smaller and that crosses in the front. I actually saw a few on Asos and Nasty Gal if any of you ladies are interested. I decided to wear my Happy Wrist bracelet alone and to do a gold ring party instead of the usual arm party! Kinda obsessed with that look right now. I'll admit though, washing your hands can be a pain!! you totally and completely rock everything you put on. i just love your blog so much. you're always so sweet to me love! I really appreciate it =) Thank you! and I love your style too! hi! found you on twitter through TPOLA--welcome!! love your style and your blog. 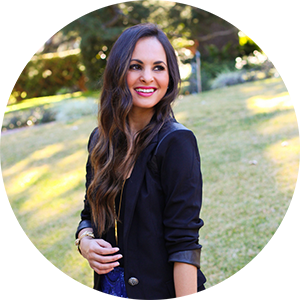 following through gfc & bloglovin now!! Hi love! I'm following you back! =) can't wait to meet you!! you are beautiful. i like the hot pink lip with fall vibe! This is awesome! I love the suspenders!! 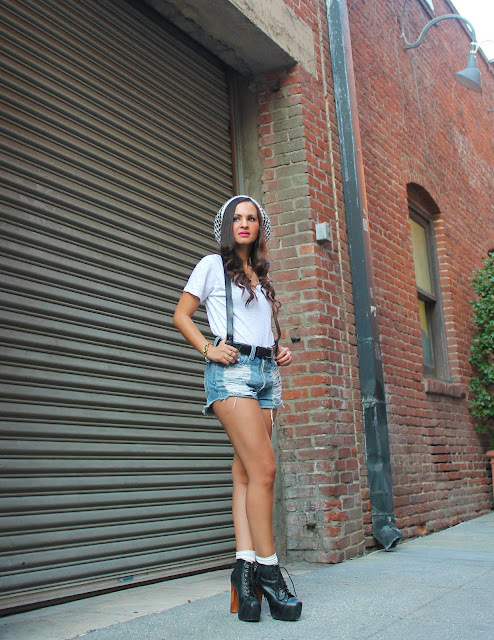 JC Litas are the perfect shoe for this look! I love the beanie and shorts, so cool! I LOVE this outfit!! It kind of reminds me of a GaGa type outfit. And you know I mean that as a compliment!! So cool!! yay! glad you like it and it resembles GaGa! wow lovely photos and styling I love It. Thanks for sharing!!!! !